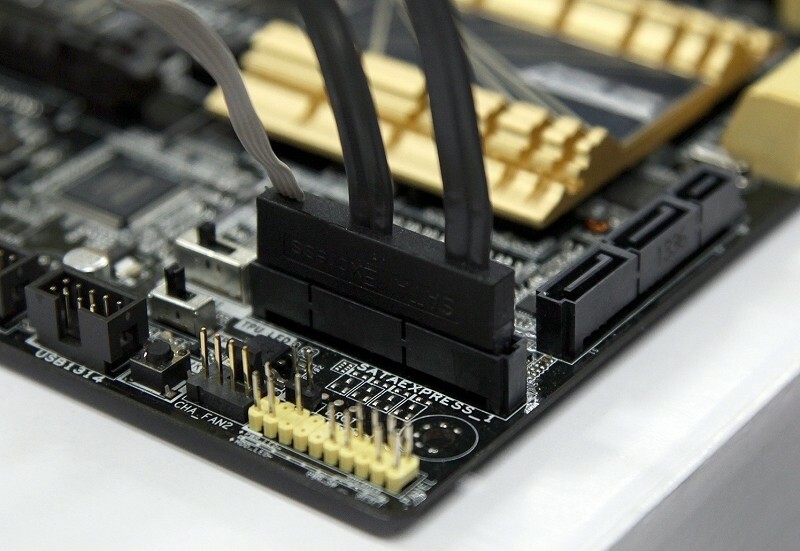 SATA Express is expected to be one of the major talking points of this year’s Computex trade show. The standard was first announced in 2011 and ratified two years later but we’re just now starting to see the technology show up in consumer hardware via new Intel motherboards. The show doesn’t officially get started until early next month but that isn’t stopping companies like Marvell from announcing their wares ahead of time. The company recently pushed out a press release for a new solid state drive (SSD) controller designed specifically for the SATAe interface which they claim will help SSD makers build PCIe-based drives that are just as affordable as their SATA counterparts. The controller, known by model number 88SS1083, offers up dual PCIe Gen 2 lanes for 1GB/sec of bidirectional bandwidth which should mesh perfectly with the dedicated storage lanes of Intel’s 9 Series chipset. Marvell’s chip also supports SRIS which stands for Separate Refclock with Independent SSC (Spread-Spectrum Clocking) – a technology that uses a drive-based clock generator instead of having to pass PCIe synchronization signals over the SATAe cable. This translates to lower cabling costs to manufacturers, savings that could be passed along to the consumer. That said, the controller isn’t scheduled to arrive until later this year. The company is sampling with customers now but isn’t expected to hit mass production until sometime in the fourth quarter.